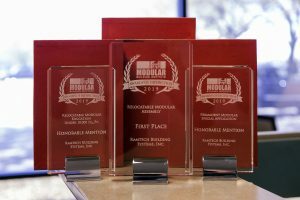 Ramtech was recognized with three Awards of Distinction honors at this year’s Modular Building Institute World of Modular annual convention and trade show in Las Vegas, Nevada. Ramtech received a First Place award in the Relocatable Modular Assembly category for the Denver International Airport Concourse A Expansion project, a 38,920 square foot Type II facility completed in 180 days which added six gates and a food concession area. We also received two Honorable Mention awards. In the Permanent Modular Special Application category, we were cited for the payment scale house we designed and built for Waste Management, Inc. The second Honorable Mention award was for the innovative custom redesign of our industry standard portable classrooms. Developed in collaboration with Pfluger Architects to meet the needs of the Eanes (TX) Independent School District, Ramtech received the award in the Relocatable Modular Education Under 10,000 square feet category for the innovative Learning Studios project. The 2019 Modular Building Institute Awards of Distinction program included hundreds of entries in categories for relocatable, permanent, and renovated modular buildings, as well as for marketing and promotional pieces. 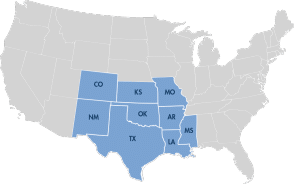 The Awards of Distinction competition includes over 30 categories in which MBI members including manufacturers, dealers, and product and service providers can submit entries. The building awards are judged by an independent panel of building design and construction experts on architectural excellence, technical innovation & sustainability, cost effectiveness, and energy efficiency.